On your publishing path, you will inevitably work with an editor (and if you don’t, we recommend you do). Having been on both sides of the equation, we’ve assembled our best tips for hiring and working with an editor. For those who are looking to take their manuscript and publishing career seriously, an editor is non-negotiable in our view. Editors do everything from make sure your story flows, to finding your split infinitives, to checking for periods and more. At a minimum, you should hire a line editor for your manuscript. We’ve written and published thirteen books so far, and we still outsource line editing. It’s just that important. Up front, we want to offer a Buyer Beware. There are lots of folks out there who offer editing services for varying prices. Before putting down any money, make sure you’ve done your homework. 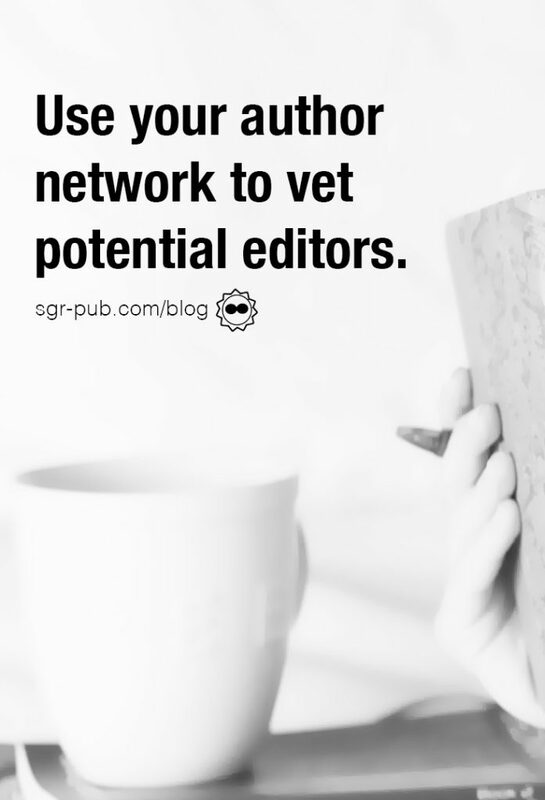 Get recommendations from your fellow authors (find them in genre-based Facebook Support Groups). Ask your prospective editor if they’d be willing to do a sample test run. You also want to be careful about how much you pay. A 100k word manuscript single edit shouldn’t cost you thousands of dollars (although if you’re getting multiple rounds, it might). Make sure to get a few quotes until you find someone you can work with at a fair price. If you’re concerned about plunking down a lot of money, you can set up a contract outlining expectations, timeline, and payment options. Some editors require 50% up front, and the rest upon delivery, and some expect it all up front. Do what feels right for your budget, and always err on the side of keeping your money. 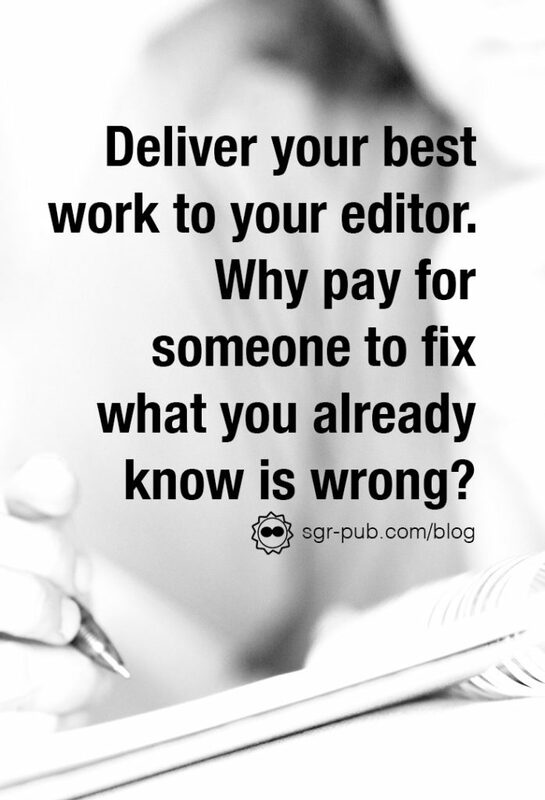 Your editor should receive your very best work. This may seem counterintuitive–if they’re going to fix it anyway, why not give them mediocre work? Think of it this way: you’re paying them to bring your book to a higher level. Why would you waste your money and have them flag things you could’ve fixed yourself? Take the time to make sure the manuscript is clean of large errors and comments. Depending on the type of editing, you may deliver the manuscript in one file or break it into chunks. For line editing and other non-subjective review, we prefer to get it in one go and send edits back. For content editing, we’ve found success with fifty-page chunks, especially if the manuscript needs more work. Disagreements Happen. Communication is Key. A good editor will always make you feel like you’re in control. But sometimes, you may disagree with their edit. And that’s all right! As we talked about a few weeks ago, getting feedback is a balance. Your editor understands that some of their notes may be disregarded. However, make sure to let them know, especially if working back and forth, that you’ve decided to go a different direction. It will help them adjust fire on their notes, and keep frustration to a minimum. You also want to make sure to keep an open dialogue on timelines and expectations, and include lag time on your publishing schedule if there’s a delay. Editors are human, after all. Next: Next post: Final Book Proofing Tips – Make It Perfect, Let It Go!